Cleveland say that 80% of golfers don’t have their eyes directly over the ball when putting, which leads to some serious issues with alignment and not striking putts from the centre of the face. They reckon by raising the alignment aid to exactly half the size of a golf ball they’ve created the most accurate alignment aid ever. A cheeky little mallet from Cleveland, that’s rammed full of technology. 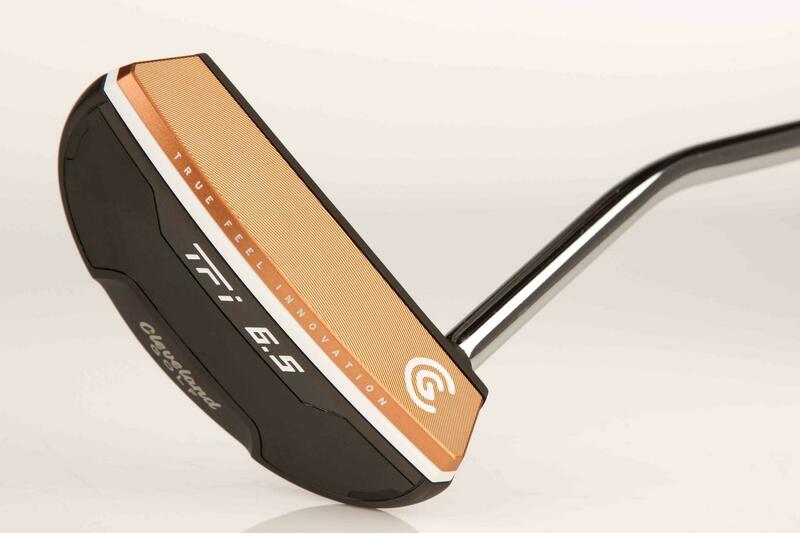 We really liked how the copper coloured face insert felt so sweet, it seems to cushion putts, yet they still run confidently at the hole. We felt the new 2135 alignment system is a decent idea. By raising the sight line to the exact centre of the ball it feels like you’re addressing the ball properly and focusing right on the spot you want to hit putts rather than a point on the top edge which is not the true impact position you’re after. We love how Cleveland have brought this new alignment tech to market without it costing the earth. It’s a real simple idea but often the best ones are. If you often struggle to hit true running putts at your target, which is everyone but the very best putters the 2135’s are well worth further investigation.